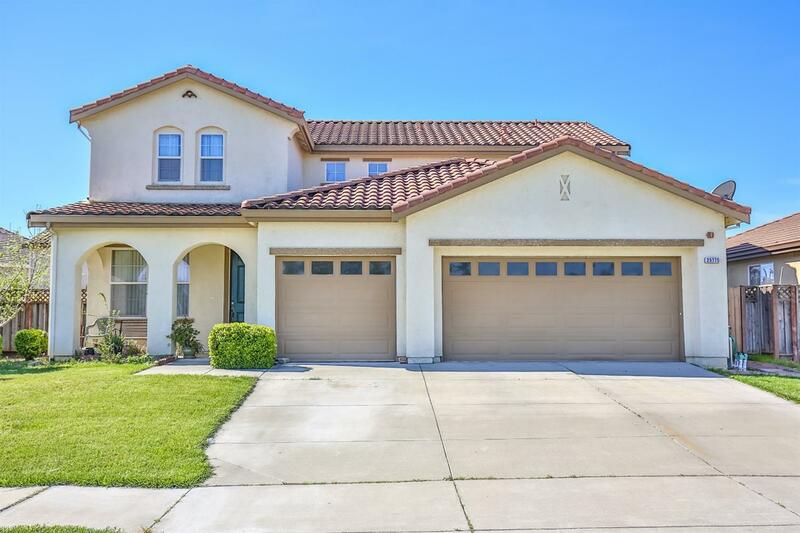 Beautiful two story home features 5 bedrooms with 3 full bathrooms. Bedroom downstair, full bathroom, large family room, separate living room area, formal dining, and charming kitchen area. Home is energy efficient with owned solar system. Backyard is spacious and well maintain. Property is a walking distance to elementary school, high school and minutes away from entertainments. Very motivated sellers, bring your offers!